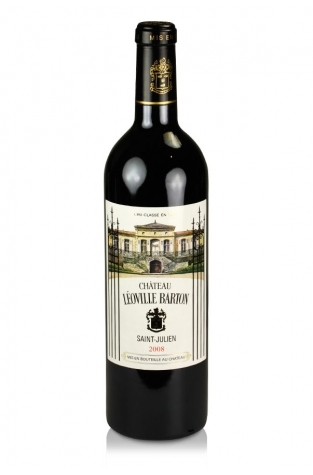 Château Léoville Barton, Saint Julien, 2008 is a big and beefy red Bordeaux that looks set for quite a long haul such is its massive structure. The smallest part of the Léoville estate the wines are made at Langoa-Barton as there is no actual château or winemaking facility. The Bordeaux red blend of grapes is dominated by Cabernet Sauvignon at 72% of the total with the rest being made up of 20% Merlot and 8% Cabernet Franc. The average age of the vines exceeds 30 years although the newer Merlot plantings are younger. Half of the wine was matured in new oak barriques for approximately 20 months. Typical flavours of blackcurrant with a cedar nose that is to be expected from a good St. Julien. 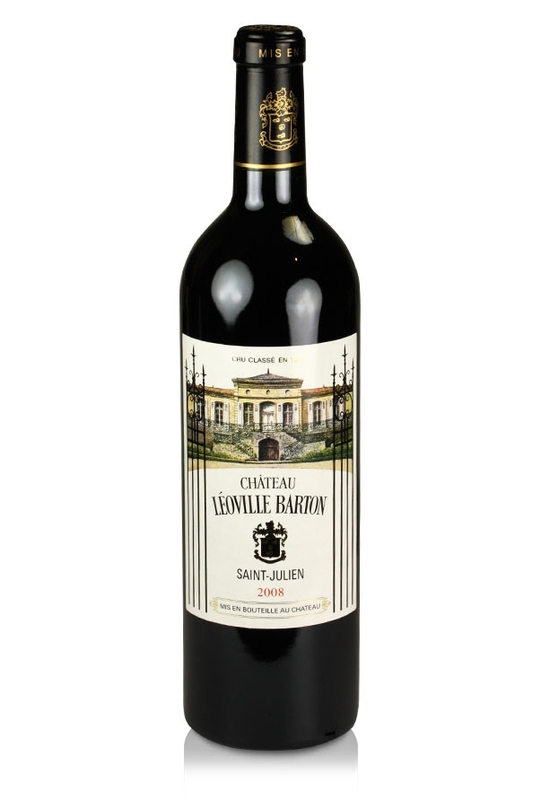 "Among the biggest, most back-strapping efforts of the vintage...the 2008 Leoville Barton, is best forgotten for another decade. An inky/purple color is followed by notes of forest floor, camphor, red and black fruits, and a hint of wood. This brawny, masculine-styled St.-Julien possesses huge body, massive concentration, and mouth-searing levels of tannin. However, the tannins are much sweeter than the 2005's were at the same stage, so that should not be an issue as long as potential purchasers exercise patience." Since the mid-1980s when Anthony Barton took hold of the reins at this 2nd. classed growth property the quality of wine produced has increased exponentially such that it is now one of the most keenly anticipated wines from St. Julien each vintage.